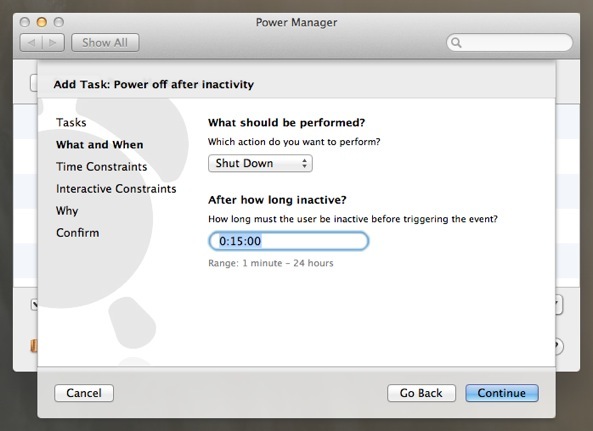 You can make your Mac automatically shut down after a period of inactivity. 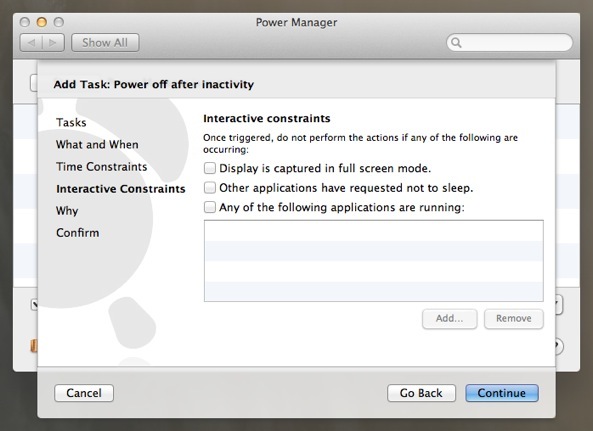 This ability is not included as standard in Mac OS X; to do this you will need to use Power Manager. 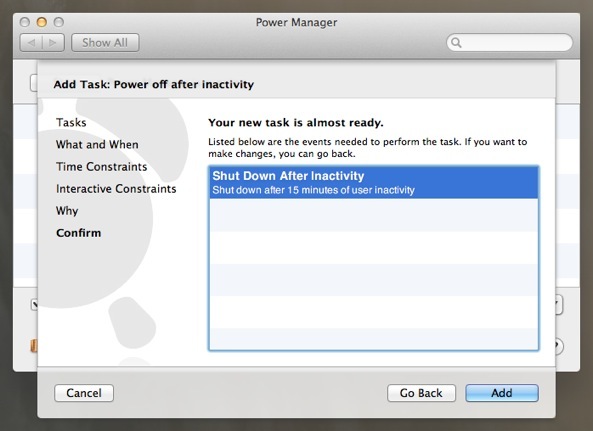 Power Manager includes a built-in task that will make your Mac shut down safely after a period of inactivity. Let's walk through how to create this task. By default, the event will Sleep after 15 minutes. 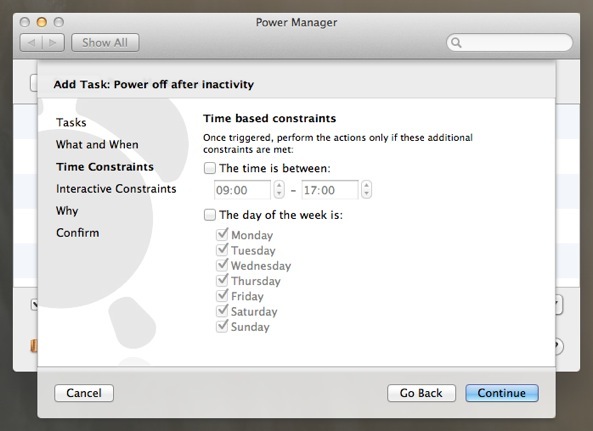 Adjust the action to Shut Down and the required period of inactivity to match your needs. 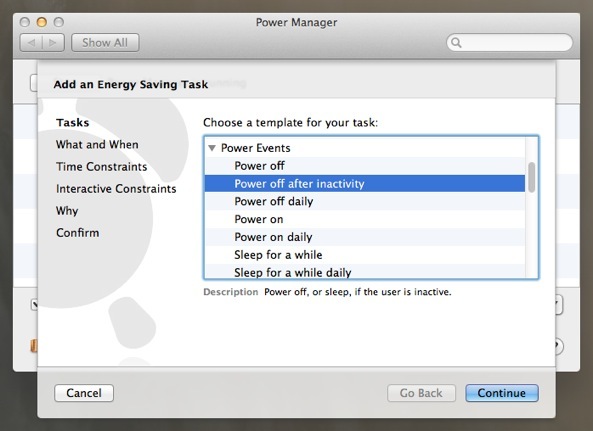 Having followed the steps above, you will have created a new event in Power Manager. 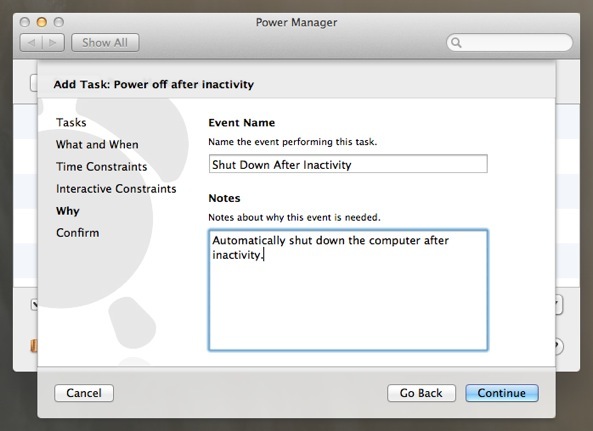 This event will start working immediately and will shut down your Mac after a period of inactivity. 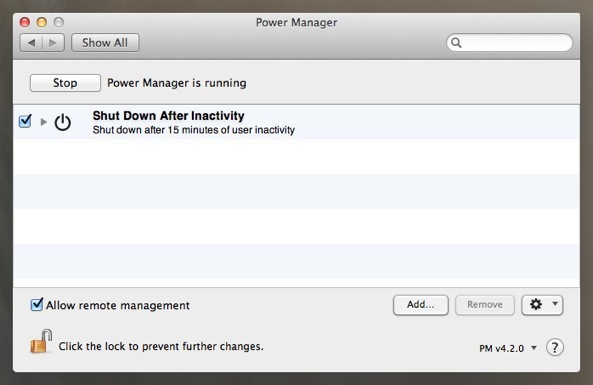 Remember that unsaved changes may be lost if you let your Mac shut down automatically. 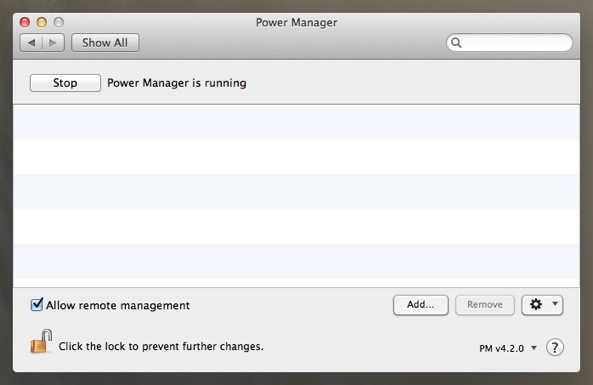 Always save changes before leaving your Mac unattended. This article was posted in PM4, Power Manager, and Recipe and tagged inactivity, and shut down.